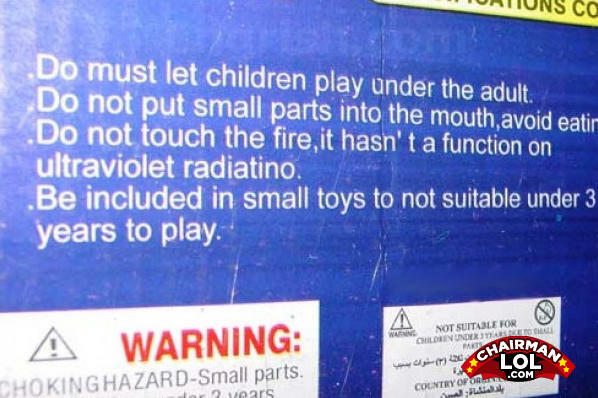 Do not touch fire, it hasn't a function on ultraviolet radiation? Don't touch Fire, as it's got no radiation! Children play under the adult. If you have a green ball in your left hand and a green ball your right hand, what do you have? I want to F*** you with a rake.